Need to cancel your order or make an adjustment? Let us know right away, and we'll do our best! Unfortunately we're unable to make any changes once an order is sent to our warehouse because we’re hustling to make sure your luxurious goodies get to your door quickly! We cannot be held responsible for items delivered to an incorrect address provided by the customer - so check that info twice! Refunds are offered on any unused product and can only be performed within 30 days from the delivery date with proof of purchase. Please email us beforehand as we handle refunds on a case by case basis. We don't refund the cost of shipping, nor do we cover the cost of return shipping. Refunds will not be offered if the product has been used or if the jewelry has been removed. Refunds can only be issued in the original form of payment or store credit. Is your product damaged? OH NO we're sorry! Please contact us at info@charmedaroma.com within 30 days from the delivery date and we'll sort it out ASAP! Specific questions? Ask away! Our customer service team is super knowledgeable and would love to chat with you regarding your needs. Replacements for defective product or jewelry can be performed within 60 days from the date of delivery. 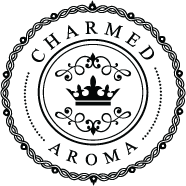 Product must be acquired from www.charmedaroma.com with proof of purchase. Replacements will not be offered if the product has been used or if the jewelry has been removed.